He is the creator of Financial Peace University (FPU), a program that helps people dump their debt, take control of their money, and learn new behaviors around money that are founded on commitment and accountability. More than 5 million people have attended Financial Peace University, Legacy Journey and Smart Money Smart Kids classes at their workplace, church, military base, local nonprofit organization or community group. Ramsey offers his message of hope through a variety of mediums and products. More than a million people have attended a live event, including more than 40,000 EntreLeadership participants. His high school and college curriculums are offered in more than 16,000 schools and educational institutions. The Dave Says syndicated column is available to more than 8 million readers monthly. Thousands of children have enjoyed his entertaining and educational book series. 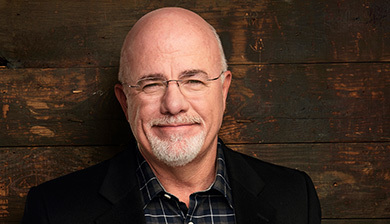 Daveramsey.com offers free informational articles and streaming of The Dave Ramsey Show.